A faraway object in Frontier Fields cluster Abell 2744 could be one of the most distant galaxies found to date, according to an international team studying a combination of Hubble and Spitzer data on the cluster. The galaxy, called Abell2744_Y1, is about 30 times smaller than our Milky Way galaxy but is producing at least 8 times more stars. Further observations are needed to verify the galaxy’s redshift, which will help determine how truly distant it is. The highest-redshift galaxies, with values greater than 8 or 9, are so distant we see them as they were about 13 billion years ago. For comparison, galaxies with a redshift around 0 are in our local neighborhood and galaxies with a redshift of around 1 appear as they were halfway back to the Big Bang. Astronomers are hoping Abell2744_Y1 is in the high-redshift range. Though scientists are interested in galaxies with redshifts in the lower range, technological advances have made those discoveries far more routine. For many astronomers, the focus today is on galaxies with the higher redshifts. The difference is significant, since lower-redshift galaxies appear in our observations as they were billions of years after the Big Bang, but higher-redshift galaxies can show us the state of the universe just hundreds of millions of years after the Big Bang. Astronomers can find these high-redshift objects with modern telescopes, but the ones they see tend to be the biggest, brightest galaxies of the early universe — the unusual objects, the outliers. To see the more normal objects — the typical galaxies of the time — astronomers use natural gravitational lenses in space to extend the reach of telescopes. 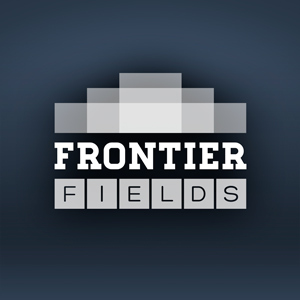 And that’s where Frontier Fields comes in. The Frontier Fields project will be looking at galaxy cluster Abell 2744 again in May, and using its natural lens to find more galaxies like Abell2744_Y1. The more ordinary, representative galaxies astronomers encounter, the better they can understand and explain the development of the early universe. Just as you couldn’t draw an accurate portrait of humanity by only examining the tallest people on the planet, scientists can’t build a complete picture of the universe when they can only detect its biggest and brightest galaxies. Astronomers need a large sample of everyday galaxies to learn what that population is really like. Since 2006, the number of high-redshift galaxies known has increased from a dozen to 236, but only two have been confirmed as actually being high-redshift galaxies. To truly confirm the objects’ distances, astronomers need to obtain spectra of the galaxies. When Hubble looks at Abell 2744, it won’t be taking spectra of Abell2744_Y1, but the galaxy is bright enough to be detected by major ground-based telescopes, so it’s possible an Earth-based observatory may confirm its distance. The small galaxy is producing stars at a rate of anywhere from eight to 60 solar masses per year, much more than the Milky Way’s star production rate of about one to three solar masses per year. A solar mass is the equivalent of our Sun’s mass. That number may not sound like much, but remember that stars develop over the course of millions of years, meaning that tiny galaxy is pumping out stars at a thoroughly respectable pace. Will other distant galaxies magnified by Abell 2744’s gravitational lens match its production? We’ll learn more as the Frontier Fields data begins to pour in. DO GALAXIES COME INTO BEING AS THE ( EXPANSION ) TAKES PLACE ?.